Who says Bolognese has to be made with mince? 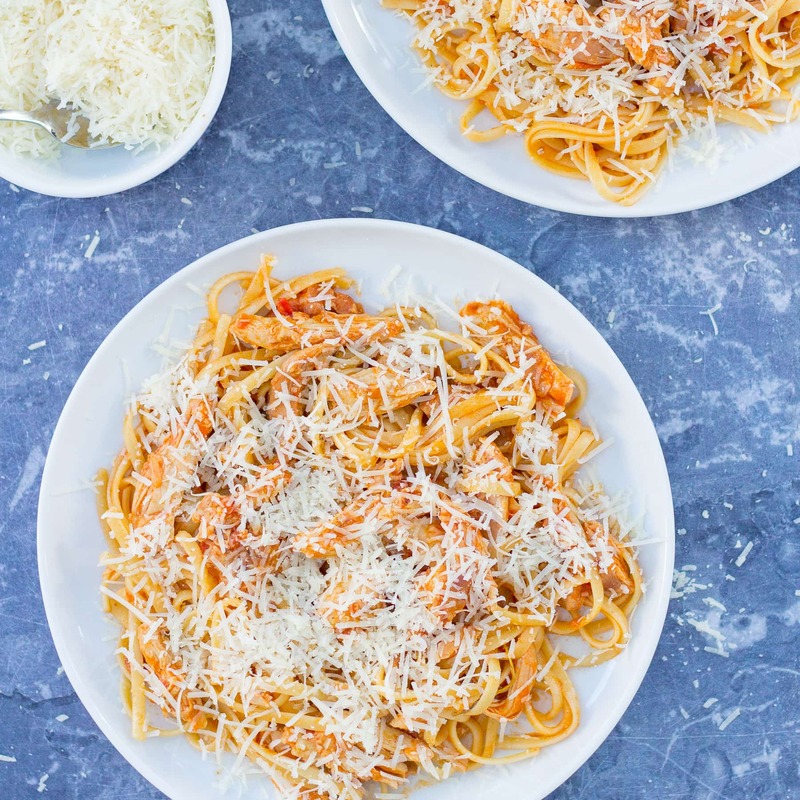 This Easy Chicken Bolognese, made with chicken thigh, is quick, easy and budget friendly – perfect for busy weeknight evenings. Now I love a classic spaghetti bolognese made with beef mince. But who says spaghetti bolognese has to be made with beef? 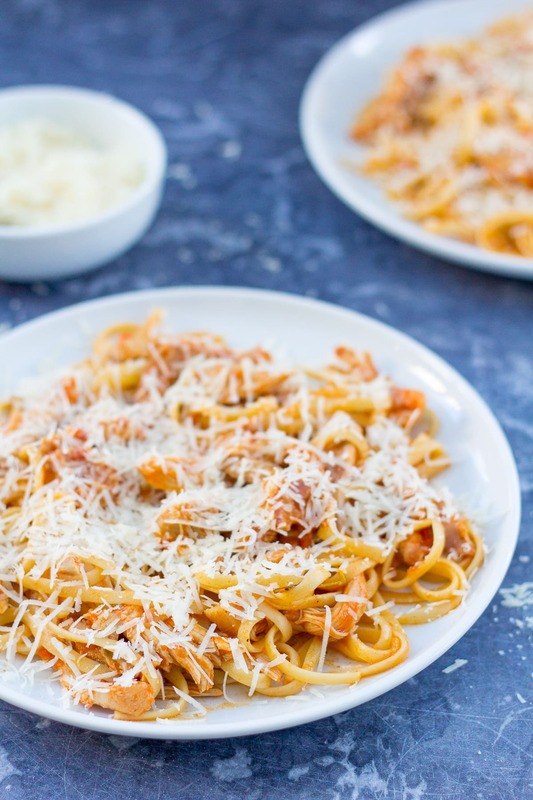 …now I bring you my latest twist: Easy Chicken Bolognese! Yep, it’s totally possible and it really works. It’s great for a change, or if you are trying to cut down on red meat, or if you just don’t like beef, but want that delicious bolognese flavour. I’ve kept the rest of the recipe pretty classic, starting off with a fairly traditional base of onions, garlic and diced bacon/lardons. 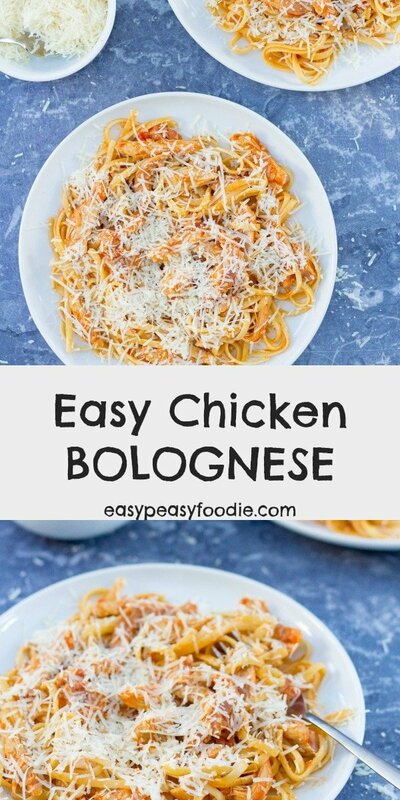 I’ve used chicken thigh, which I think makes this recipe extra delicious – as well as being budget friendly (though you can totally make this Easy Chicken Bolognese with chicken breast if you prefer). And I’ve used good ol’ tinned tomatoes, as well as some chicken stock (totally fine to use a cube) for the sauce. And for an extra flavour boost I’ve chucked in a couple of bay leaves and a sprig of thyme – totally optional but it’s really worth it. As a final flourish, I’ve chosen to shred the chicken thigh as it makes this really feel more like a bolognese sauce and works much better than big chunks of chicken IMHO. 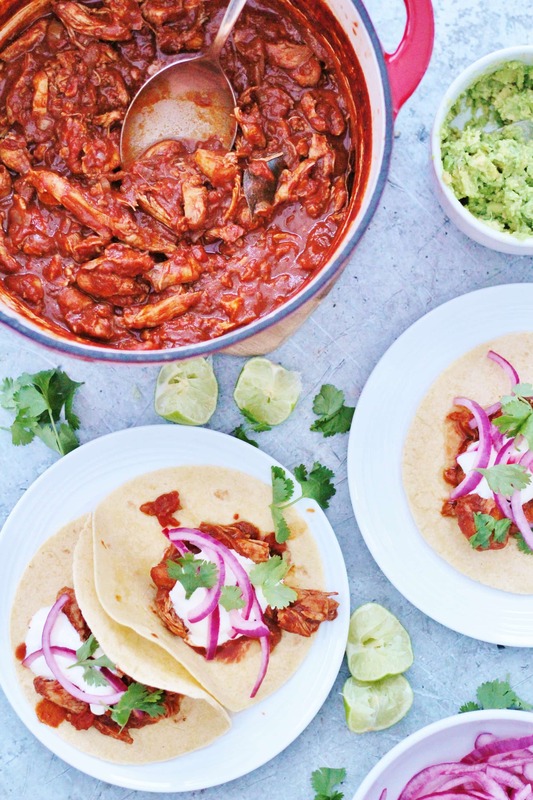 But if you want to make this recipe even quicker, you could simply use diced chicken instead. Could you make this Bolognese with chicken mince? Absolutely! This easy bolognese recipe would work well with chicken mince or turkey mince. Simply add the mince into the pan instead of the chicken thighs and brown for a couple of minutes before adding in the tomatoes and stock. You can probably get away with knocking 5 minutes off the simmering time if you do this. Could this chicken bolognese be made with leftover roast chicken? Definitely! Simply cook the bolognese sauce as per the recipe below, shred the cooked chicken and add to the sauce about 10 minutes before the end of cooking time. Ensure the chicken is piping hot all the way through before serving. You can absolutely serve this chicken thigh version of bolognese plonked on top of a pile of spaghetti, classic British bolognese style. However, my personal preference is to serve this chicken Bolognese a little more Italian style and stir the sauce into the pasta. 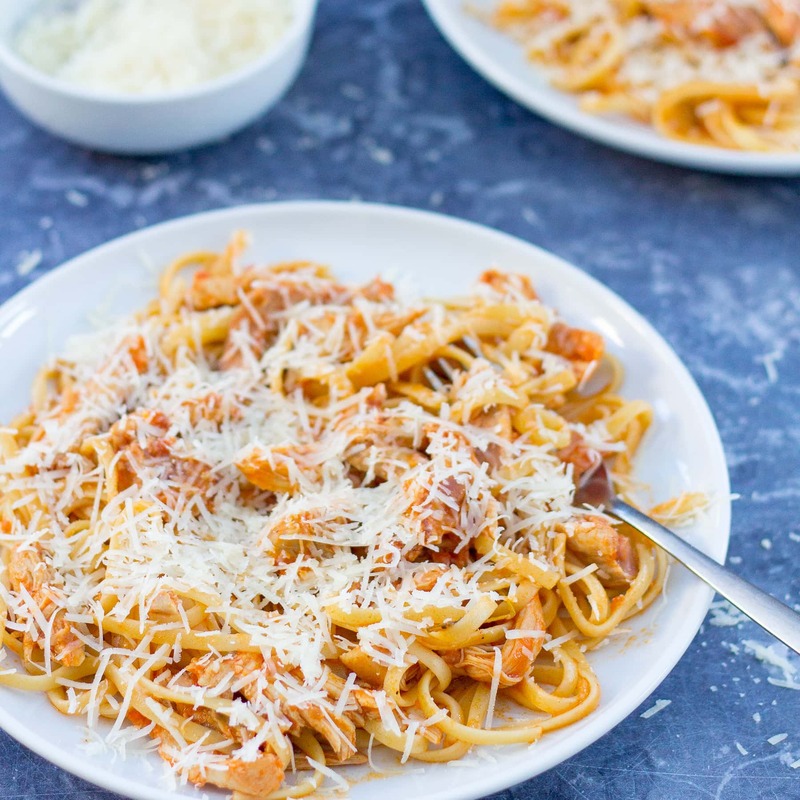 My favourite pasta for this Easy Chicken Bolognese is linguine, but it will work well with pretty much any pasta shape – e.g. penne, fusilli etc. You could even serve this Bolognese with rice or mashed potatoes, if you are not a pasta fan. 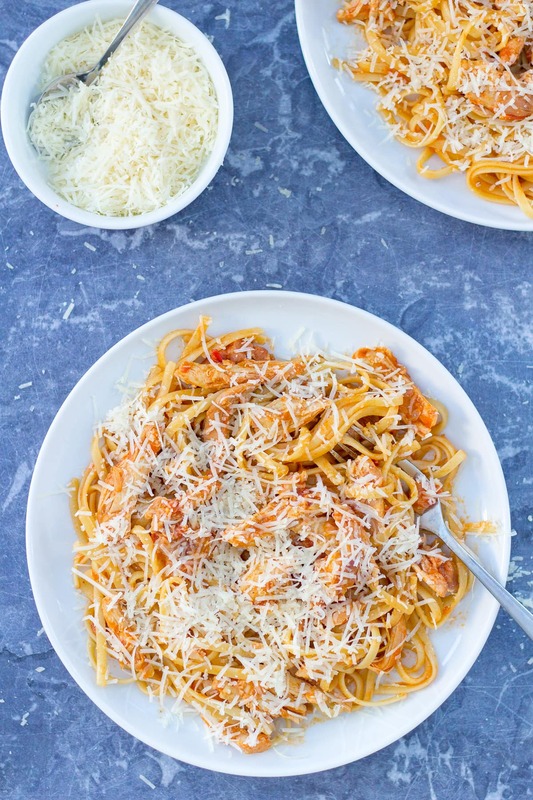 I love to serve my chicken bolognese with a good grating of parmesan on top, but you can use totally use cheddar, if you prefer it! The herby/bacony flavours of this chicken Bolognese remind me of a chicken cacciatore/chasseur and it would go with very similar wines. My top choice would be a Chianti (or a Sangiovese from another part of the world) or another similar Italian red, such as Montepulciano d’Abruzzo. If you prefer white wine, this would go really well with a Chilean Sauvignon Blanc or a Southern French Chardonnay. Can you reheat Chicken Bolognese? Absolutely! Put any leftovers in a plastic container and keep in the fridge for up to 3 days. To reheat, simply place in a saucepan together with a splash of water and cook over a medium-low heat for about 10 minutes or until piping hot all the way through. You can also reheat this chicken Bolognese in the microwave if you prefer. 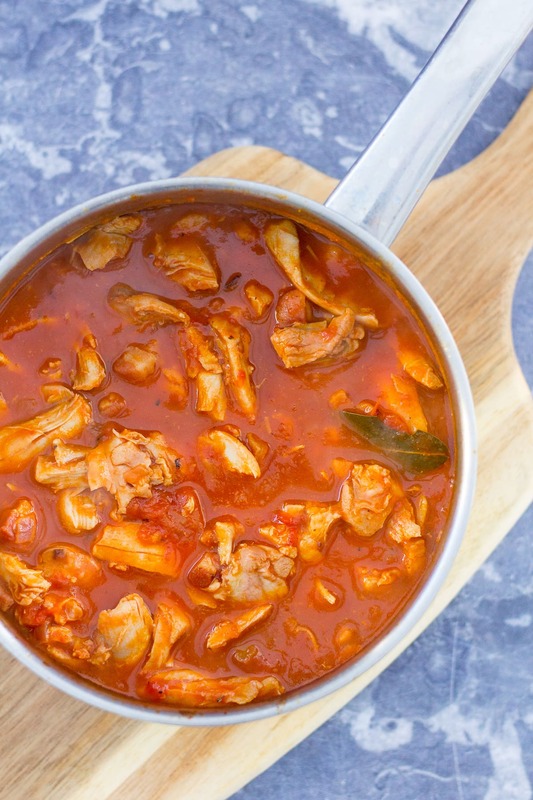 Can you freeze Chicken Bolognese? Definitely. In fact, this would be a great recipe to make a double quantity of, eat half and freeze the rest for the future. Simply place the portion to be frozen in a plastic box (don’t forget to label it!) and pop it in the freezer. It will keep in the freezer for up to 1 month. Defrost overnight in the fridge, then reheat as above. Turn the heat up and add the lardons/diced bacon. Fry for 2 minutes, stirring regularly, until the lardons and onions are lightly browned. Turn the heat back down and add the garlic. Fry for 1 minute, stirring occasionally. Add the chicken, tomatoes, stock and herbs, plus salt and pepper to taste. Bring to the boil, then turn down low and simmer for 20 minutes, without a lid, until the chicken is tender, and the sauce reduced. 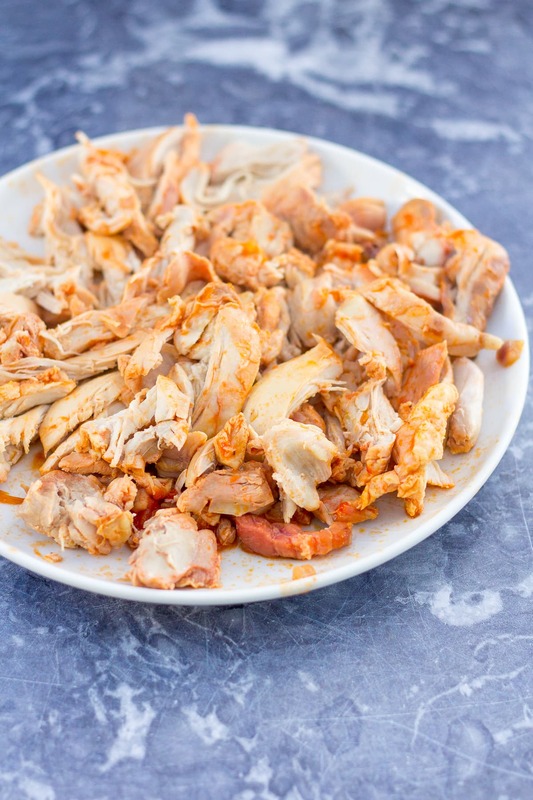 Remove the chicken onto a place and quickly shred with two forks. Return the chicken to the sauce and simmer for another couple of minutes. Serve with your choice of pasta shape and sprinkled with parmesan (or cheddar if you prefer). I am linking this up to Cook Blog Share. This would go down really well in my house as pasta always disappears in a flash, especially with all that cheese on top! Looks yummy! I like the sound of this dish. Chicken is so versatile and goes really well with pasta.